Opens on the 8th of January 2015 in the U.S. and Malaysia. Right. So welcome back to my pokey little blog and to the first blog of 2015 and my first movie preview. Also my first confession on this blog for the new year. The confession? I have actually not seen the previous installments of the Taken Trilogy. You read that right. Not. Seen. Any. Of. Them. But I have been told by a good friend of mine that both were solid action movies. We share the same opinions on the most of the movies that we've both seen so I sort of believe him. But for the sake of this review just take note that I've not seen the first two and that my opinions of this movie will be entirely based on its own merits. So Taken 3. It picks up of course after the second one. 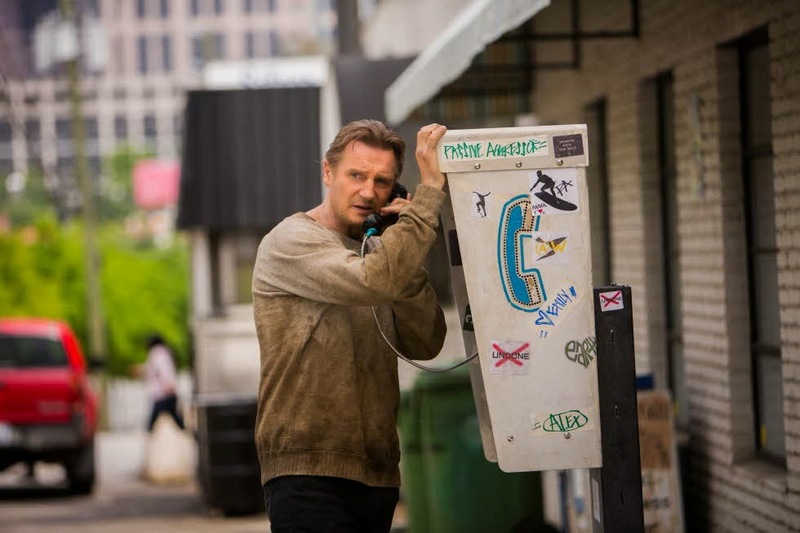 The first one was about Liam Neeson's character Bryan Mills going to Paris to rescue his daughter from a human trafficking ring run by Albanians. The second has him running around Turkey trying to save his ex-wife from the Albanian mafia who are seeking revenge for what Bryan did to their leader and their business back in Paris. This third one has him running around Los Angeles. So no more exotic locales for Mr Bryan Mills to run around and cause massive death and destruction. So what happens this time? Well, let me tell you what I can remember. (This is where I tell you about what happens in the movie. THERE WILL BE SPOILERS FOLLOWING!!) The movie opens with a kidnapping of a man by a bunch of Russians. He's taken to his office where the boss of the Russian kidnappers ask him to open the safe so that he can take his money. There's no money in there. He kills the man but not before calling someone on the phone and leaving a message saying how disappointed he is. Next you're listening to a Hindi song while you see our hero Bryan Mills buying a big stuffed panda bear for his college going daughter Kim. Next you cut to a scene where his daughter finds out that she's pregnant after taking a home test. Then dear old dad shows up at the apartment to give her her birthday present about three days too early because he wanted to surprise her and not be too predictable. Daughter is not impressed by the big stuffed bear. Dad takes it back with him to exchange it for something more age appropriate. While in the car his ex-wife calls to ask how it all went. You can guess his answer. He invites her to dinner but she refuses. Now it's night and Bryan is about to make dinner. Halfway through cutting his first bell pepper his ex-wife Lennie comes in the front door. The door isn't locked. I guess when you're a one-man-army you don't need to. She sits and talks about her marriage with Stuart (I read on Wikipedia that Stuart is a recurring character) isn't going so well. That she doesn't feel anything for him anymore but he's trying his darndest to keep the marriage going. She also tells him that she still fantasizes about him. She goes in for a kiss but he stops her, he's an honest and honorable guy in addition to being one-man-army. He then tells her he's about to leave for a month and gives her a key to his apartment saying that she can use his place if she needs a place to get away and be alone for a while. Next evening Stuart shows up. He's there begging him not to see Lennie again. Being the good and honorable man that he is, Bryan agrees. The next day though he receives a text from Lennie saying that she needs to see him and could they have bagels when they meet. So off he goes to the nearby coffee and bagel place to get a bag of bagels. When he gets home he spots her car on the curb. He walks up to his apartment and finds that his door is ajar. In the hallway leading to his room he finds a knife and spot of blood next to it. He calls out to his wife but gets no answer. Walking into his room he finds his wife sprawled on his bed. He checks on her but she's dead. Not more than a couple of minutes into his discovery the police show up guns at the ready. You know what happens next if you've seen the trailer. Anyway, he runs and escapes the police by running into a strangers garage and somehow knowing that underneath one of the cars is manhole that leads into the sewers. This man has apparently committed to memory an escape plan should someone come by his own home to kill him. He must have been a damn good boyscout. He's very well prepared. Anyway, escape he does and the first thing he does after that is call his daughter to tell her the bad news and give her instructions. Next he calls his ex-CIA friends and tells asks for their help. Then he goes to an abandoned factory where apparently he has a safe house hidden away deep in the basement where he keeps guns and other things he needs to do what he needs to do. Somehow I don't believe this. Or at least I find it hard to believe, especially since he accesses this hidden room in the basement using a key that he 'hides' by putting it on top of a large breaker box opposite the door that the key unlocks. Sure he keeps all his gear hidden away but still this seems a little bit of a stretch especially for someone like him. 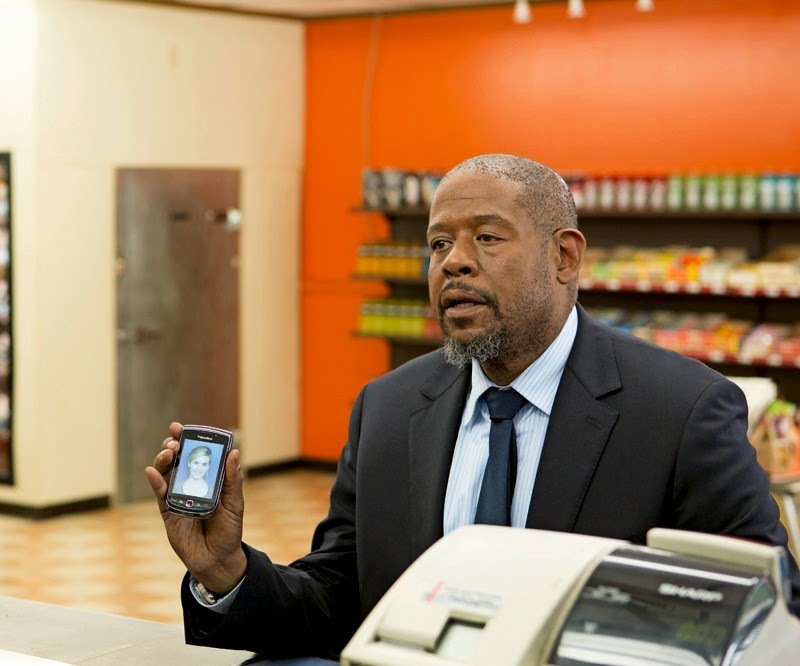 Meanwhile, the police are at his place looking for examining the crime scene and we meet the head detective Dotzler played by Forest Whitaker. They find his cell phone. They also find her cell phone and while looking through her things Dotzler finds the key to his apartment. He also finds the bag of bagels and he notices something about the bagels. He also asks for the tech team to download all the data, calls and texts records off the two cell phones. Didn't know this was possible. The next time we see Bryan he's sneaking into morgue in the police station to have a last look at his wife and look for possible clues. Creepy. He also sneaks into the garage to download the GPS data off his wife's car to find out where she's been. Didn't know this was possible either. He finds out where she's been and visits the location, it's a diner and gas station way out of town. While there he finds that there are security cameras everywhere and asks the gas station if he can view the previous evenings footage. He does this by masquerading as a police detective. He views the footage and finds out that she was there that evening and that she was kidnapped. While looking through the footage the police show up. He's taken in by the police. While transporting him back to the station he makes his escapes. This is when you see the car he's in swerve like mad and yet the follow-car behind them make no effort to call it in or try to speed up and maybe stop them or something. It just follows from behind like normal. A chase ensues of course with many cars smashing into each other including a truck that jackknifes and has it's cargo go flying off the back to smash into several cars. Our hero escapes of course in another police car and while he's in it he downloads all the data the police has about his case including the phone logs they took off his and his wife's cell phone. Didn't know this was possible. You know what? I think I'll stop with the much-too-detailed spoilers. What happens next is that he visits his daughter in college. Detective Fowler follows up on the clues and starts to think that Bryan isn't the murderer. Bryan goes to meet Stuart but somehow gets rammed off the road by the Russians. He kills them. He heads to Stuarts place and tortures him. Stuart tells him about how the Russians are after him because he owes them money. The Russians kill his wife in order to get their money back. Why they do it in Bryan's home is sort of vague. Stuart leads him to the Russians and Bryan kills everyone there but before the Russian boss dies he tells him that he's been played for a fool by Stuart. Stuart's got an insurance policy for him and Lennie to the tune of $12 million dollars each and is trying to make his escape with the money claimed after Lennie's death. Didn't know that the insurance company would release that much money after just a couple of days or weeks. Bryan chases after Stuart who now has his daughter as insurance. It all ends at the airport where Bryan doesn't kill Stuart but threatens him that after he gets out of jail he'll be waiting for him. Also throughout the movie the police look pretty inept and ineffective at their job, the only one that seems to know anything and up to the point of being clairvoyant is Detective Dotzler. The End. Was I 'TAK3N' by this movie? Like I said way up there I have not watched the first two movies although I had heard that it was enjoyable as movies like these go. Was this movie enjoyable? Sort of. Written and Produced by Luc Besson and Directed by Olivier Megaton who also directed Taken 2, it has all the things you find in an action movie associated with Luc Besson. The camera work is pretty good and the car chases are something to see and for the most part the movie makes sense until of course you think about it. 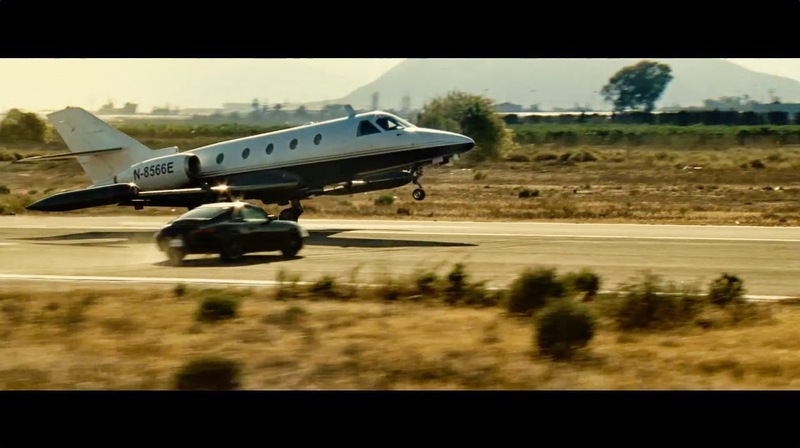 Also typical of movies associated with Luc Besson is the very obvious product placement and of course the expensive cars that never get damaged. If you've not watched the previous two movies there's no reason to watch them in order to understand this one, they make little reference to the other two and even when they do it isn't important to the story. This movie is pretty much standalone. 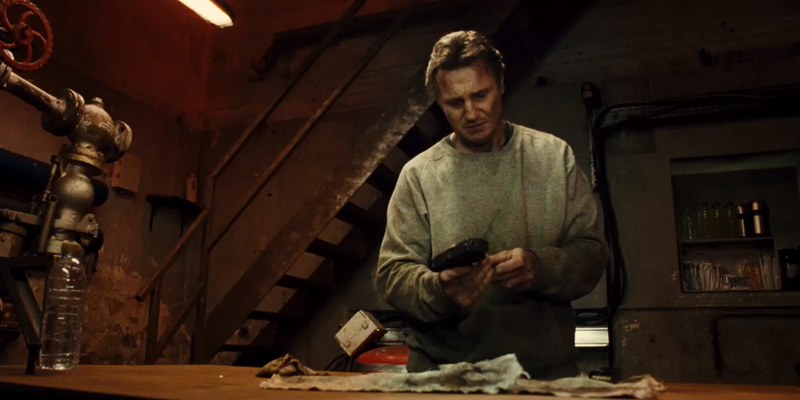 Liam Neeson is as you'd expect the same Liam Neeson in any other action movie that he's in. He delivers what you expect of and from him in a role like this as I expect he did in the previous two. The twist near the end where you find out that the Russians aren't totally responsible but are just pawns in the game was also surprisingly not surprising to me. It's all pretty predictable. And frankly a little unoriginal. When I saw the trailer for this I immediately had The Fugitive (1993) in mind. Maybe it's not the same but still I was thinking that the writers sort of drew from that movie, in fact as I mentioned above the hero in this one escapes the police by going through the sewers which was also done in The Fugitive. To sum it up, if you've seen the first and second Taken and enjoyed those two I'm guessing you'll enjoy this one as well. If you haven't seen them or have and thought they were passable and enjoyable action movies, you'll probably feel the same about this one too. This is one of those watch-it-with-half-your-brains-switched-on sort of movies. Just sit back, don't think too much and enjoy all the things that are happening in front of you. There's another thing for you to enjoy though and that's Forest Whitaker's performance. He delivers a pretty interesting performance playing Detective Dotzler. 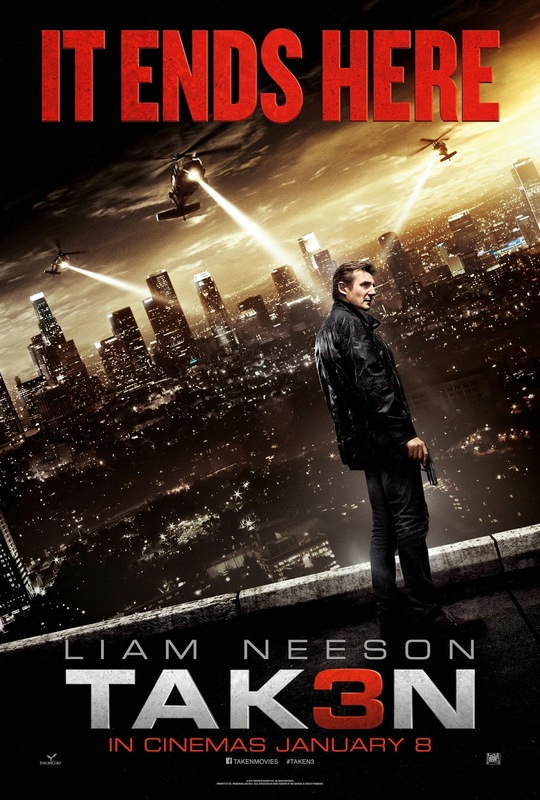 All in all, I give TAKEN 3 an average 3 out of 5. Go see it if you're a fan of the series. If not, then go see it if you're looking for a decent and entertaining action movie. I don't think there's anything better playing at the moment, especially one in the same sort of genre or category. 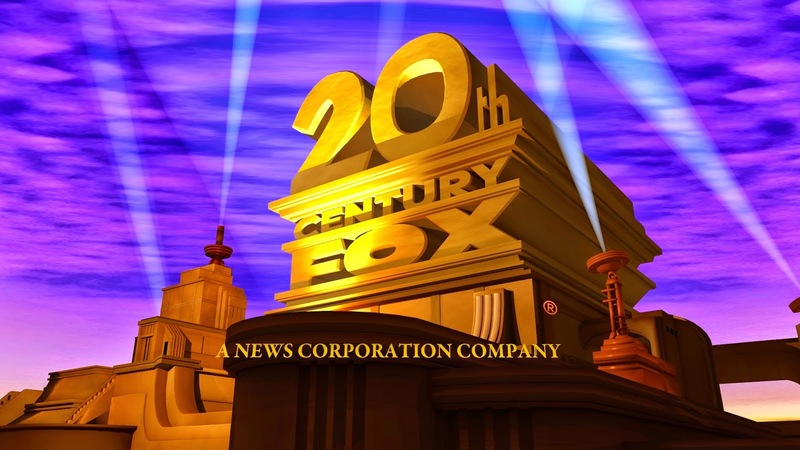 BIG THANKS TO THE TEAM AT NUFFNANG, CHURP CHURP AND OF COURSE TO 20th CENTURY FOX FOR GIVING US THE OPPORTUNITY TO WATCH TAK3N BEFORE EVERYONE ELSE!! AND THANK YOU GSC CINEMAS @ QUILL CITY MALL FOR HOSTING US ALL!! 11% approval rating on Rotten Toamtoes. Think I might swerve this one. Good review, though. Hey Thomas! Yeah, unless you've been a big fan of the first two you can probably take a pass on this one. Watch it when it airs on cable or something. Thanks for the compliment. The 'funnny' thing here is, this seems to be related to the movie 'Taken 3' - the copy theft ended when the movie came out in January. The regarding (clone) website names are also blatant copies of blog posts regarding the movie. It still doesn't make very much sense for our blogs though, because apart from a post (or two, three perhaps) regarding the movie, there's no real relation to Taken 3. My guess here is: Someone (A big fan? Or a 'company' who wanted to use some sort of not very legal guerilla marketing.) used an automated scipt to search the internet for content on blogs regarding the movie. Once they found sth they cloned the website, and continued copying the articles from the blogs until the release of the movie. The goal could have been here additional promotion for the movie (?). This seemed to have been done via a script that didn't recognize articles which had no relation to Taken 3. Or the 'system' assumed that everything had to be Taken 3 related. That's the best 'explanation' I have so far here. Just wanted to inform you here that this copy exists. 'At least' it ended in January, so it seems. Let's just hope that this method wasn't used for other movies, too. Hey there Phil of Nameofthesong, Thanks for the detective work. It really is a little odd but at the very least my name/blog is still there and he/it didn't just copy my text. Anyway as you said it's stopped so I'll just leave it be. Thanks again Phil!